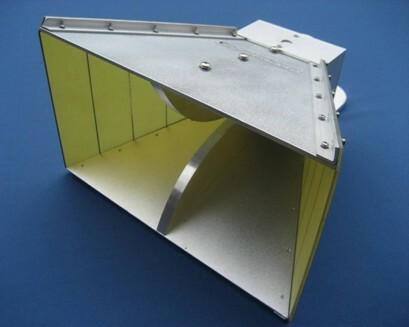 The CE18000 double ridged guide horn antenna is a broadband antenna suitable for use in the frequency range 1 GHz to 18 GHz. The antenna is manufactured from light weight aluminium. The mounting position is located at the rear of the antenna via a ¼” thread into the supplied locking swivel bracket.